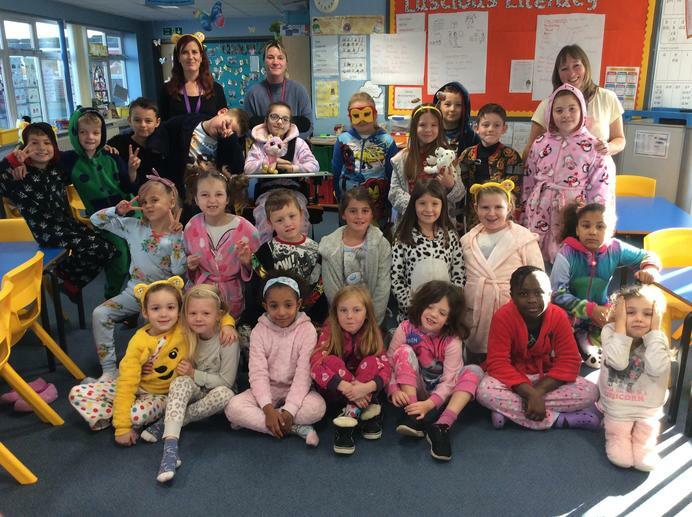 For Children in Need day, the whole school (including the staff!) dressed in pyjamas! We raised lots of money for Pudsey to give to the children!